Eureka! provides interactive entertainment for both family and adult events. Our entertainment begins with a core package of Games, Mechanical Puzzles, and Game Leaders and can be expanded with options ranging from music to an on-site escape room. Different games are right for different crowds, and we design each event with you and your guests in mind. Strategy, dexterity, and logic games are all covered, but instead of fitting between two fingers, a pawn will fill your entire hand! Make no mistake – these games are not trivial or chance based. 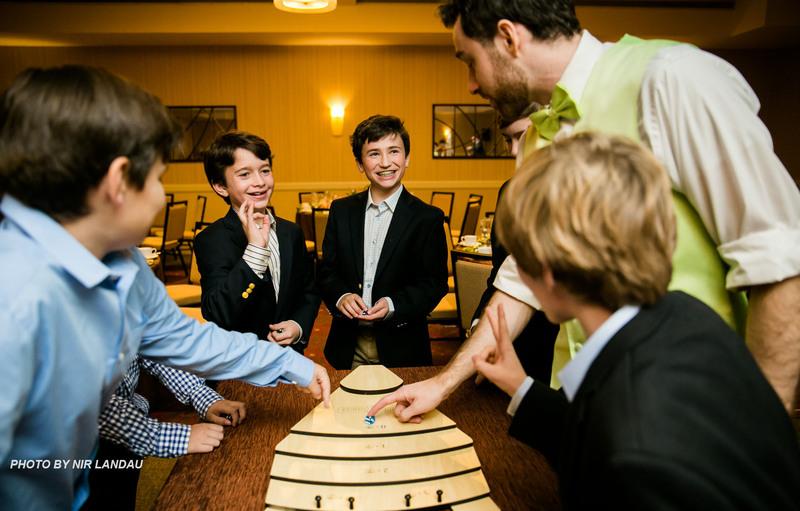 Whether a brain-game or a physical challenge, your guests will put their minds and bodies to the test. Mechanical puzzles are tactile, interactive challenges. Can you get the ring off? Can you fit the pieces together? 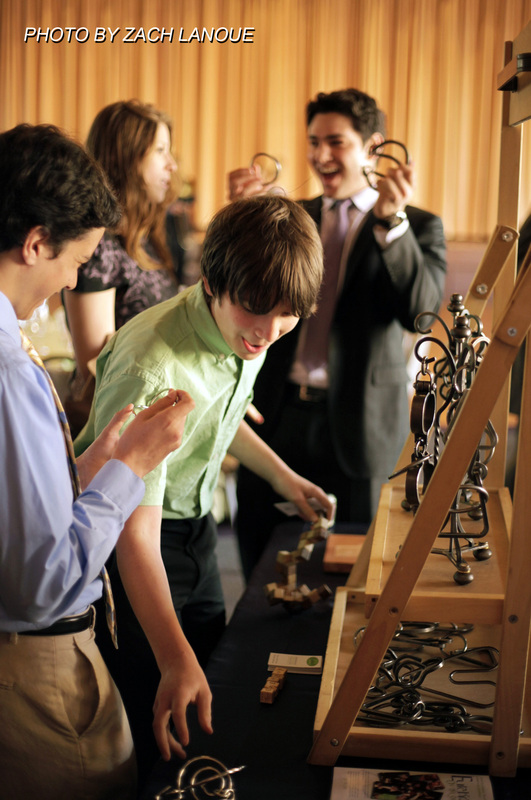 We bring dozens of enticing and addicting 2-D and 3-D problem-solving puzzles in wood and wrought iron. Eureka’s event team plays a critical role in the success of any event. Our staff teach the games quickly and effectively, give hints and tips on the puzzles, and above all facilitate a great time for everyone. Every event has a dedicated event lead and accompanying team of game leaders. In addition to our core game and puzzle play, we have many options to provide the best party for you and your guests! The menu on the right highlights many of our most popular options for customization.